Walter P. Reuther Library (37657) A group of women standing along the Detroit Walk to Freedom march route, watching the marchers. 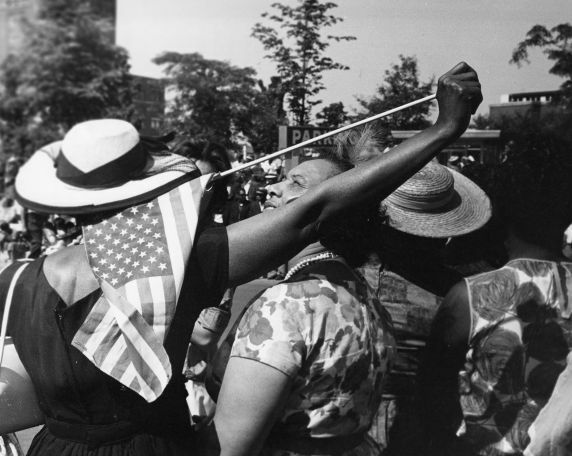 Photograph is taken from behind the group and shows one woman holding a flag. From the Rudy Simons Papers.